I’m telling you, the upcoming week is going to be so relaxed! For there is such an abundance of tempting yoga courses taking place that you won’t even need to roll up your mat ;-) On the weekend yoginis can practice asanas during the energising Kundalini workshop and invite wealth, prosperity and richness into their lives at the same time. On Monday, it continues with yoga at the spring-fresh Augarten by “Yoga & Juliet”, and then you can have the day come to an end with happiness flow at the Mimsyoga studio. Or you move the moon salutation into the Planetarium – under the fantastic (projected) starry sky. Also nice: tired after-workers can loll about like cats and gently stretch their spines. CitySpotterGirl’s favourite yoga class, by the way, purr! The birds are shouting it from the rooftops, nature is exploding: spring is here, thus there’s finally an end to winter jacket and scarf wrapping. Instead, it’s off to Donaukanal-Beach – the freshly smartened-up Strandbar Herrmann opens again today! The beach chairs are ready, the sand awaits naked toes, the cocktail glasses are polished and Mr Harvey Miller is swinging at the DJ board. Starting tomorrow, they open daily from 10:00, and they will also have lunch menus again soon. Chill events from Silent Disco to yoga complete the beach feeling. Oh, approaching summer, we love you! Somewhat sombre but great (dialect) texts and a sound that really pulls you in deep! You know Paul Plut from his Deutsch pop band “Viech” and the blues-rock band “Marta”, now he sings “songs about dancing and dying” solo. For his debut album, celebrated by critics as a masterpiece, he processes his two suicide attempts in front of the mountain massif in his native Ramsau am Dachstein. His songs paint pictures of shadow-world areas that the inhabitant of the Alps knows from his fever dreams. “ „Wir wean so laut klatschen, dass koana heat, wennt Wöt mit an Tuscha untageht.“ Listen in here. A ball without dress rules and far from classic standard dances: the “Ballsaal Palindrone” at Sargfabrik hosts a cheerfully-buoyant evening. The catchy multi-instrumental dance music is being provided live by the ingenious folk group “Hotel Palindrone”. The best, multi-award-winning world music! With the help of dancing master Paulo Gerardeaux, you can learn or perfect easy-to-learn French dances like Cochichine, Zelda, or Andro retourné, aside from European folk-dance classics like Scottish, Bourrée and Chappeloise before the concert starts. There are two big advantages to purchasing a new favourite piece here: it’s definitely unique and it is filled with a young designer’s heart’s blood! 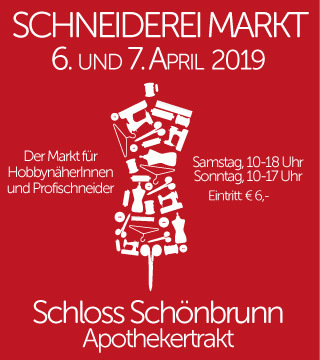 Because only today (and then on 10 May again), the students of the Modeschule Siebeneichengasse will part with their handmade creations. Among the highly creative pieces and collection models of the young designers you will find fairylike ball gowns just as well as elegant everyday clothes: including extravagantly cut trousers, skirts, blouses, elaborately sewn dresses, corsages, and jackets. A popup settles down: the “Vintage Fabrik” will now make the PopUpZentrale on Mariahilferstraße a permanent location. Last year, they already sold old & pretty stuff here during a market, now it’s being turned into a big vintage store. With original treasures from the 1950s to the 90s and from different shops in all of Europe, like “Yummy Vintage” from Berlin, British “Poor Boy”-fashion (for girls, too! ), or unusual decorative objects by Jane Doe from Belgrade. 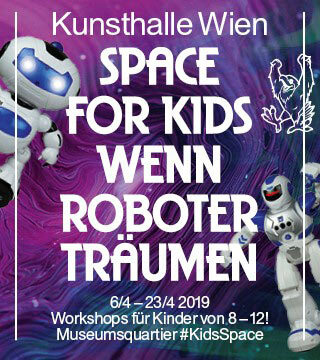 Obviously, there is also space for Viennese vintage here, like from “Bananas” or “Design Lichtblick”. The opening is celebrated today! We know which way the bunny jumps today: to the culinary colourful Easter jamboree at the magnificent Palais Niederösterreich! Using the catchword “Genusserwachen”, 50 rural traditional businesses from the area around Vienna demonstrate their skills and allow you to look over their shoulders at the “Söwa gmocht” (selfmade) stations. Easter eggs are polished up with natural colours, fluffy raisin-Striezel are woven, and original catkin bunches are arranged. Plus: magical spring cuisine, a delicacies market, free tours through the Palais NÖ and hearty traditional music! Attention, CitySpotterGirl is throwing some calories into your mail inbox ;-) Namely: strawberry-balsamico cheesecake, chocolate cheesecake, bitter-sweet grapefruit cheesecake or Argentina-inspired Dulce-de-Leche cheesecake. Now doesn’t that sound seductive, ladies? Today, Hotel Marriot invites you to taste your way through the new cheesecake selection in its garden café (on a first come, first served basis!). They kindly made the tasting free of charge, you only have to pay for the beverages. The cake with the best feedback will then make it onto the menu. This may not be the biggest plant market of the city, but it’s one of the coolest! This year, the Balcony Garden Days organised by the club “Schwenderkinder” are taking place again at the small, emerging Schwendermarket. 20 stalls offer everything that urban gardening fans might desire: aside from young organic plants, they also have little olive trees and fig trees from the Viennese Biofeigenhof, wild flowers, open-pollinated seeds from Reinsaat, rarities from the Burgenland Biotiger, farm garden herbs, and garden books. And at the Bauernmarkt, you can feast on treats and shop! In 2007, the first album of the then 29-year-old singer/songwriter was released – and sold millions of copies. It was followed by so many more releases that it’s now time for a “Best of” by the award-winning musician. “Woman of the World” contains Amy’s hits from the past ten years, like “Mr Rock & Roll”, “Dream On” and “Poison Prince”, but also some new songs. “After such an incredible journey, I just felt like it was time to look back and feel proud of everything that has happened”, says the Scottish native. 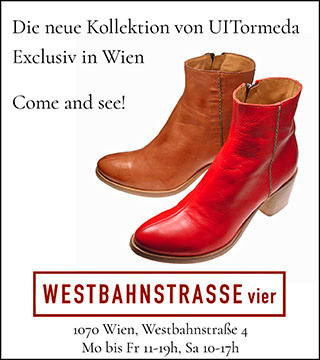 Today she’s live in Vienna, listen in here! Well, this is going to be problematic for lazyfeet. Because even though everything about the Q202-gallery tour is free, you really have to take your heels. For there is much to discover: from Friday to Sunday, artists at almost 50 locations in the 2nd and 20th districts open their doors and invite you to take a stroll through modern art and design. What’s special about it is the uncomplicated and personal contact to the creative minds, you can visit backyard studios, artists’ apartments and workshops, you will find ceramics as well as oil paintings, jewellery or textiles. Now that’s a nice cooking class for once! Today, Manuela Ito-Loidl shows how you can prepare Japanese lunch boxes – or rather their contents – yourself. Being married to a Japanese man, she doesn’t want to teach some complicated 5-star-cuisine but rather what Japanese families actually eat every day. The expert for Japanese cuisine presents her favourite dishes today, which can be wonderfully served in a Bento box, including meat- and fish specials, veggie treats and the best rice, of course. And everything is cooked in proper style with Japanese utensils and ingredients! Be it preventive detention or 1 €-pay for asylum applicants – the policies of Black-Blue find a new playground almost every week. Legal expert and political scientist Lukas Oberndorfer does research on (authoritarian) crisis management strategies in the EU; today he will explain with interesting facts how the government undermines the rule of law. What is behind the political measures of the government? What project are they pursuing? What is the connection between neo-liberal economic policy and the increasingly authoritarian state? Interesting questions, Interesting answers! 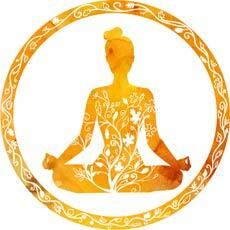 Nobody has to meditate for hours in order to be relaxed – you can now acquire more serenity at the drop of a hand! The beautiful card set by coach Elisabeth Wrubel brings more mindfulness into the daily life – with simple exercises creatively pictured on 108 cards. They aim to motivate you to some easy-to-do exercises – from smiling to doing nothing for a moment to the appreciative eating or drinking of coffee. CitySpotterGirl now exclusively raffles five card sets with 108 cards plus box and booklet! Find out how to participate in the raffle here. Bowls that consist of nothing but holes, tableware in a beautiful play of colours, and unusual lamps – you always find original, handmade art pieces made of porcelain at mano design. From today, it’s time for spring cleaning and there is much to be sorted out. Including Bone china pieces like plates or cups from the series “Twotone” and “Just”, great lights, samples, second choice items and porcelain beauties with minor defects, which are all sold at much reduced prices until Saturday. Plus several products that are no longer part of the assortment. This should make art lovers prick up their ears! 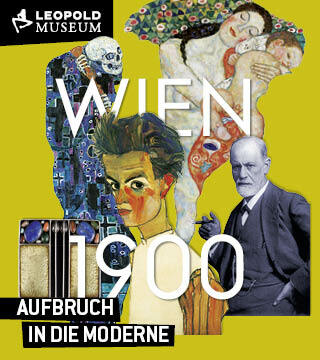 There is a chance to purchase high-quality Austrian art by auction for extremely low starting prices today. Artists themselves as well as several celebs have donated more than 80 works, the proceeds of the auction will go to DeltaCultura. One of the undisputed top tickets is an original by Günter Brus that was considered unsellable until now, the colour etching “Fliegender Kopf” by Franz Ringel is regarded a rarity, as well. Plus works from artists like Attersee, Rainer, and Brandl are auctioned off! Catalogue here. There is no end to the friendship bracelet boom – the same, however, is not always true for the bracelets themselves ;-) So better make them yourself, then you can take care of replenishment at your wrist. Plus, the colourful ribbons always make for a nice present and Easter is just around the corner, after all. In today’s two-hour workshop, you learn how to make colourful bracelets yourself and to decorate them with pompoms, tassel braid, threads and pearls. They provide heaps of material there, and every participant gets a craft kit and a handout. Two young authors who have both written touching and very personal books about the Holocaust meet today at the House of Austrian History. In “Arthur und Lilly”, Lilly Maier (yes, CitySpotterGirl’s daughter!) talks about the story of Arthur Kern, who survived the Nazi regime thanks to a Kindertransport and how meeting Arthur changed her own life. And Anna Goldenberg’s book “Versteckte Jahre” commemorates the man who saved her grandfather during the Second World War. The conversation of the two authors is hosted by the historian Heidemarie Uhl. Extraordinary finds from all kinds of remote parts of the world are sparkling in the brand-new store of Julia Stallinger and Sarah Wirths. The two friends from Salzburg share a mutual love for traditional but unusual design. That is why in their fancy store, apart from the Dirndln designed by Julia, you can also buy Sarah’s collected treasures that you will only find here in Vienna: gorgeous, colourful caftans from Uzbekistan, fantastically patterned blousons and kimonos made from recycled Indian Saris, or jewellery from old costume buttons embellished with colourful pompoms. Very stylish! I would follow this hot chocolate way out to the sticks. High-percentage dark chocolate by Valrhona melted into milk, so strong that you had better use a spoon instead of drinking it. It’s not actually in the sticks either, just a hidden courtyard in the nowhere land of a new neighbourhood in the 3rd district. The Brass Monkey on Gumpendorfer street, known for its perfect coffee and perfect (because not sweet) cupcakes, has opened another café at Erdberger Lände: just as nice, handsomely furnished and very bright. Apart from cupcakes, they also offer breakfast and quick lunches – a fine oasis!